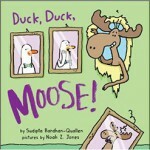 NJ SCBWI: Congratulations on your latest book release of Duck, Duck, Moose, how did this one come about? 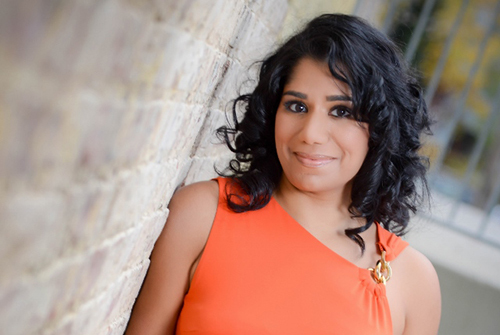 Sudipta Bardhan-Quallen: It's pretty interesting, actually (at least to me! 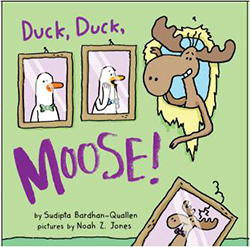 )—I've been carrying around the idea of Duck, Duck, Moose for years, the story of a well-meaning but clumsy moose who gets on his companions' last nerves. From the beginning, I imagined such sparse text that it was always going to be a very illustration-heavy book, and so I was nervous about writing it. After all, as an author and not an author/illustrator, why would someone take my manuscript where I had to give the illustrator so many directions? It was actually after having a discussion with one of the editors I already worked with, the woman who edited Chicks Run Wild, who seemed intrigued by the story idea. Even though she did not end up publishing the book, without her encouragement, I would not have had the nerve to be so bold. Even though it is a text-sparse book (32 words! ), I knew that there still needed to be a story with a definite arc, one that would showcase the relationship between people who both love each other and drive each other crazy. That's where the party planning— and crashing— comes into play. Essentially, this story is inspired by my children— watching them interact, seeing how hard it is to love people who you also get sick of so easily! NJ SCBWI: Any new books in the works that you are super excited about and can share with us? SBQ: I actually have four more picture books publishing this year! The next one is a book called Orangutangled, which is illustrated by Aaron Zenz. The art in this one is so exuberant you cannot help but smile. After that, as a book called Tyrannosaurus Wrecks. This one is illustrated by Zachariah Ohora and I am super excited about it, although readers will notice that my inspiration is quite apparent. Just like Moose, Tyrannosaurus is a bit of a klutz. The last one for 2014 is a book called Snoring Beauty. It has been a very long wait for this book—I wrote that book when I only had two children, and now I have three, and my youngest is seven—but when you see it you will agree that Jane Manning's art was well worth the wait. NJ SCBWI: You are a scientist, yet you now focus on writing picture books and chapter books – so how did that happen and why? SBQ: Honestly, like most people who have children in their lives, as soon as they popped up, I realized I had stories to tell. Somehow, after my children were born, I was less interested in science and more interested in getting those stories down to share with my kids. To this day, however, I use my science training to write—I approach storytelling like a scientist approaches an experiment. So even though I am writing picture books and chapter books, my science training serves me well! NJ SCBWI: You do quite a lot of school visits. What's your goal when going into a school? SBQ: One of my favorite things to share with kids is a quote from a French writer, Jules Renard: “Writing is a way of talking without being interrupted.” To me, this summarizes the power of writing perfectly. Your writing is your voice, and it cannot be stopped. For children who often do not feel like they have a voice, this can be such a meaningful realization. If I can get this message across to kids, I fell successful. NJ SCBWI: We're always interested in tips and advice from other authors to help us grow, what top piece of advice would you give to those of us out there trying to get ahead in the kid lit world? SBQ: Balance your business and your art. 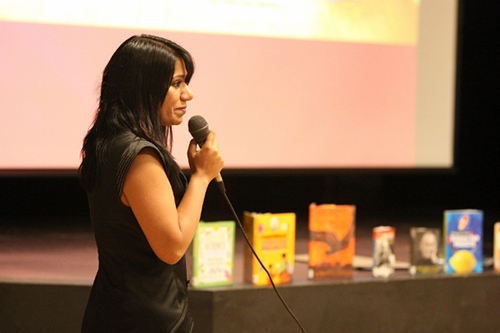 I like to say that you can choose to be a writer or an author. A writer writes what is in his or her heart, regardless of feedback or the market. And author writes to sell—first to a publisher, and then to readers. An author cannot ignore the market and has to compromise vision for sales sometimes. Either one is admirable to be, but it is a conscious choice that must be made. Come back next month for a new author interview, or check out our archive of past interviews. Simply click on the right-hand navigation bar and click the month/name link.